Cotton Tarpaulin Manufacturer in Delhi, Cotton Tarpaulin Supplier in Delhi, Cotton Tarpaulin in Delhi. Cotton Tarpaulin in Delhi,Cotton Tarpaulin Manufacturer in Delhi,Cotton Tarpaulin Supplier in Delhi. Madras Canvas are leading Manufacturer & Supplier of Cotton Tarpaulins wide range with high quality. Madras Canvas Tarpaulins are also fire retardant it can be used in various type industries & various type of applications. These Cotton Canvas Tarpaulins are available in Various Sizes, Colours & with Customized Specifications as per requirements of our customers & clients. Cotton Canvas Tarpaulins is an extremely heavy duty & plain-woven fabric used for creating marquees, sail, and all type of tents, backpacks, tarpaulins & many more items. 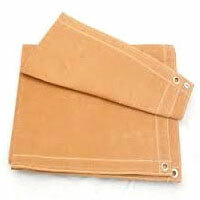 Canvas is also used for fashion industry objects like handbags & canvas shoes.